It is with heavy hearts that we share this news with the Steppin Razor Massive today. Our drummer, co-founder, creative collaborator, and long-time manager, Mark Patterson, has decided to abdicate the throne (drummer humor). We’ve copied his announcement below, and we want to emphasize the invitation to our last three gigs together. It certainly will never be the same without Mark, who sells himself way too short. 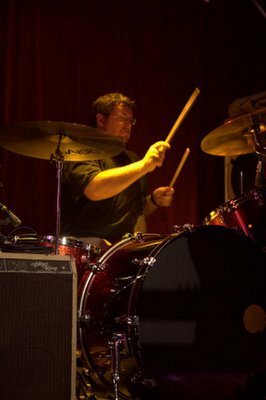 Rufus, as we often refer to our drummer of over 10 years, has been a tremendous asset to this band, through all of his hard work, his devotion to his craft, his voice of reason, and his creativity. More importantly, he has been a good friend, and we will miss the fun and ridiculousness at gigs and rehearsals, especially the jokes that we wouldn’t dare repeat to anyone outside of the band. Mark, we wish you the best of fortunes in your new and exciting position, and we’re glad that your many years of commitment to the company have finally paid off in a big way. We also hope you keep your creativity alive through your photography. You have some serious talent, and we look forward to watching what you do with it for years to come. I’ll try to keep this relatively short, but no promises. 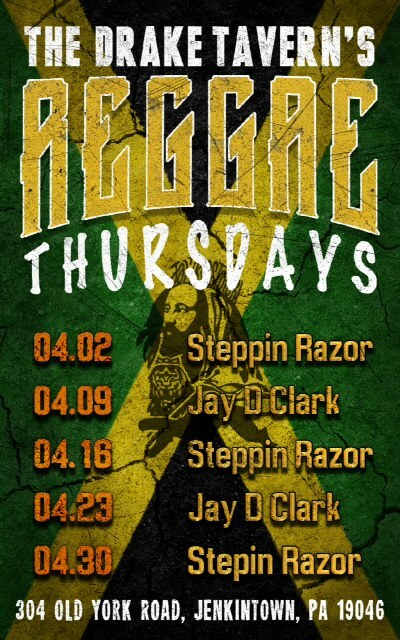 Thursday, October 29, my band Steppin’ Razor will be playing at The Drake Tavern in Jenkintown. This will be my final performance with the band. Words haven’t been on my side this week, but I’ll try to break this down for those of you who want to know more. Is a band a band if it doesn’t have any kind of support network; fans, friends, family? No, I don’t believe it is. For 10 years I’ve seen this network grow and evolve with this band. For those of you who’ve never experienced something like this, please believe me when I say it’s amazing. But as wonderful as it’s been, I now have a need to move in a different direction with my life, and maintaining my role within the band while I do so will not be possible. (Sounds cryptic, huh? No, I’m not dying. I mean, we all are, technically, but I don’t think I have any immediate life threatening diseases or anything). Why? Man, you people are nosy. Okay, fine. I’ve always wanted to work in the music industry. I was hoping it would be as a professional drummer, but the reality is I’m nowhere near good enough to do that. I’m not just saying that because I’m down on myself but because it’s true. I’ve had some amazing opportunities when it comes to learning more about the craft of drumming and I squandered them. I was much younger and overflowing with derp (I’m sorry I let you down, Martin). Now, somehow, this college dropout has found his way into the industry, and over the last year, I’ve earned a position within one of the top 10 largest music retail companies in the country where my voice and ideas are heard and respected. I know, crazy, right! I know what you’re going to say; “dude, you’re leaving the band for your day gig in an office?! What the actual F is that? !” One, it’s not the only reason, Two, I actually like what I’m doing, and I’m not ashamed of it. Three, there are other reasons, but they are incredibly personal and I have only shared them with my bandmates and the people in my life that are the closest to me. For now, I just have to leave it at that. I’ve always thought of regret as a wasted emotion. All of the mistakes we make in this life are really opportunities, and I’ve made a ridiculous number of them. However, I do have one regret when it comes to this band; I don’t think I ever really expressed how grateful I was for every kind word said about us. For every person who decided to spend their time and money with us. For every gig we played. For every dollar we made. Maybe the opportunity lies in how I choose to live my life from this point forward. I guess I’ll find out later. 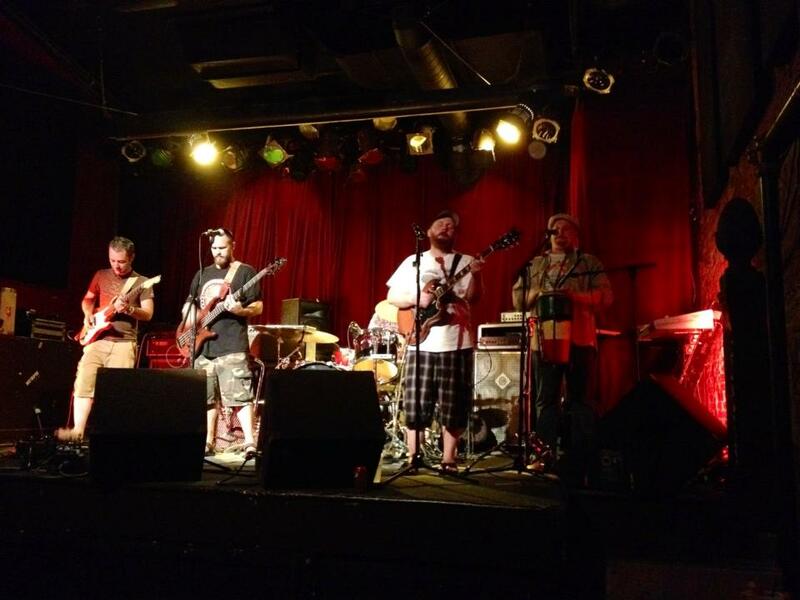 April 10th at the Trocadero – Opening for Toots & the Maytals! It’s been about a year since we last updated this blog, but we certainly had a fun-filled 2012: Reggae in the Park at the Mann Center w/ Jimmy Cliff, Beres Hammond, Luciano, and so much more talent; a Radio 104.5 Summer Block Party at the Piazza w/ Dirty Heads and I am Dynamite; a couple of fun sets at Musikfest‘s Volksplatz Stage; and a bunch of other fun shows, including some unforgettable times with bands like John Brown’s Body and Tauk. We finished the year celebrating the arrival of a little new addition to the Razor family, but now we’re getting ready to get back in full swing for the spring and summer of 2013! The best way to stay up to speed with our show schedule is by following us on Facebook and Twitter. Signing up for our newsletter is not a bad idea, either. But this first spring show announcement is so big, we had to launch a full-on social media assault. We’ve been asked to open for the legendary Toots & the Maytals once again, this time at the Trocadero on Wednesday, April 10th. When we opened for Toots a couple of years ago at the Blockley, the show sold out fast, and tickets sales are already looking great. So order yours today, or let us know ASAP if you want to skip the service charge by getting your tickets directly from us. Check back soon for more show dates! We just want to express our gratitude once again for an unforgettable release party last Saturday night. The Social Lounge was packed with both new and familiar faces, and it really brought us back to the good ol’ days at Spence Cafe. Lots of dancing, lots of screaming, nuff inside jokes to make us plenty sentimental, great performances by Allyson (saxophone) and Ian (trumpet)…. Seriously, unforgettable. Donnie, Nash, and all of the staff at the Social Lounge: thank you for helping us celebrate this new album in the best possible way. We look forward to returning very soon. In the meantime, we’ll be heading up to NYC for our first gig there, ever! We’re joining our new friends Tauk, along with The Naysayers, for an intimate evening at Dominion on Saturday, March 24th. We’re extremely happy with Against the Current, our 2nd of many albums, and we’re excited to share it with as many people as have ears to hear. After so much hard work, it was great to perform the album in its entirely, along with some old favorites, for such an enthusiastic crowd. You all reminded us of why we do this in the first place: because music moves us all, and we love helping the Steppin Razor Massive move in the most positive way possible. We offer our infinite thanks for your support, and we hope you’ll continue to spread the good vibes…. Now available on iTunes and Amazon.com. Last week, B. Hold called and asked me to write a brief bio of him for the Steppin Razor blog. It was around 4 in the morning when my phone rang, and B explained that he always gets up so early to milk his neighbors and gather the flying squirrel eggs. He rambled on for several minutes, snoring intermittently, and barely conveyed his reason for calling: since he had written the blog posts about James, Johnny, and Mark, the band wanted someone else – someone with no knowledge whatsoever of who or what Steppin Razor is – to write Ben’s bio. Since then, I have been familiarizing myself with the band’s music, and it’s okay, I guess. But what really impressed me as I talked to band members was their high regard for one another as individuals, a respect that is unashamed of the most personally revealing information. We were loading in for our weekly Wednesday gig at Spence Cafe in West Chester, and Ben was the last to arrive, as usual. He came in haste, almost crashing into the dumpster, yelling something about how he might have soiled his pants with falafel and rancid apple juice. Luckily, his boxer shorts intercepted most of the mess, but he was left with rotted bean curd sepia colored pantaloons, and no change of clothes with him that night. I had to stand behind him when we played at Spence back then, and believe me, it was a struggle to get through three whole sets on that fateful reggae night. On the third day after the shart of Bean, a Gold Bond sticker arose from the depths of the dumpster of Spence and was placed on the steering wheel of my chariot to remind me of the events that had taken place….and there it still lies, withered and torn, but untouched, as it is the holiest of Gold Bond stickers. …he just passes out. Maybe he has narcolepsy or something, I don’t know, but this one time, we had a dance party at the old Steppin Razor beach house, and as soon as everybody started dancing, B. Hold passed out and teleported himself to his bedroom. After a few hours, we wanted to wake him up to join us, so we shouted, “To B. Hold’s room!” and charged in. Somebody placed a magic 8-ball on his chest, waking Ben up quickly, but this proved fatal. 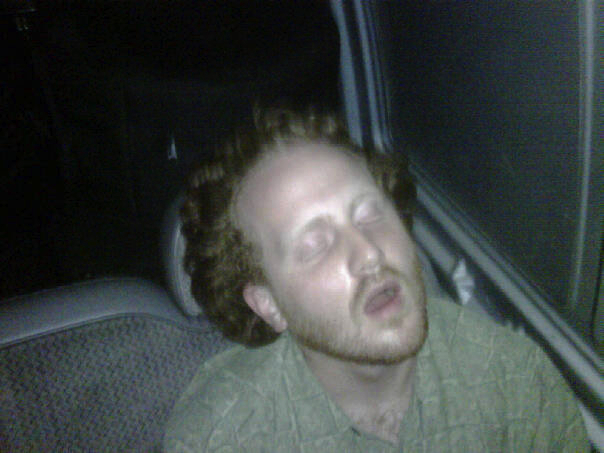 And this other time, we were all riding in the van rocking out to Lady Gaga or SOJA or something, and Ben passed out and started snoring really loud. James took a picture of Ben that time, and oh man, it looks like a dead version of that Chicken Lover guy from that one episode of South Park. It’s hilarious, but sometimes I feel bad that he always misses out on the awesome stuff that we all get to experience. But then I stop feeling bad because it’s hilarious. B. Hold also considers himself something of an anthropologist, always reading things that nobody cares about and traveling to other parts of the world to poke his nose into other people’s business, thinking that he can somehow live up to his motto, “Do Good,” that he stole from somebody in Jamaica. Everywhere he goes, he carries around something to write with, convinced that he will eventually capture a brilliant idea on paper. One of his old notebooks was intended for this purpose, but it came to be used by all of the band members for jotting down random thoughts. This “Black Book,” as it is affectionately called among the Steppin Razor family, contains top secret information, most of which is written in Sarlacc language, B. Hold being one of the few people on earth who can still decode this ancient alphabet. B. 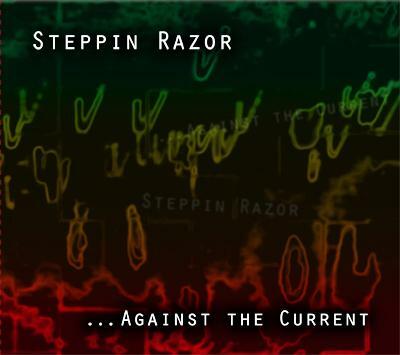 Hold, whose contributions to the new Steppin Razor album include “All Dem Have” (below) among others, currently lives in Big Beaver, Pennsylvania with his cat and five children. He works for the CIA and none of the above is entirely true. James “P. Dub” Hoy wrote the music for “Against the Current,” and both Johnny and B. Hold (that’s me!) wrote the lyrics. Then it sat on the back burner for a couple of years while we contemplated becoming a Pete Townsend tribute band, trying to learn as many of his songs as we could. Eventually, we realized that it was inevitable: we were meant to play reggae, even if none of us had the hot surfer bods, the bleached rent-a-locks, or the cute nasal vocal capabilities typical of the genre. That’s when we decided to add “Against the Current” to our repertoire and make our comeback to the world of reggae music. Like most drummers, Mark isn’t usually mentioned in terms of songwriting; but the solid, steady 4-on-the-floor riddim and the percussive accents throughout this track are but a small taste of the creativity with which he complements the other Razors. After hours of pointless labor, I couldn’t believe what I was seeing! How did that thing come out of me? I begged and begged the doctor to take it back, to keep it there at the hospital. I couldn’t take it home with me – what would my family think? I lay there in my hospital bed for years, wishing it were just another horrible stump-baby nightmare. And all of a sudden came a miracle that changed everything. Silly, yes. That describes Mark to a T. But T is just one letter, and without all of the other letters of the alphabet – letters that stand for awesome, percussive, funny, highly intelligent, thoughtful, business savvy, loyal – you wouldn’t have enough letters to make up the one word that describes him best: Mark Patterson. Here's a picture of Mark playing his instruments. Johnny's son Jonah calls him "Gark," but Mark secretly hates that.